CAMP RUPERTO K KANGLEON, Palo, Leyte – To modernize data storage in police stations, the Police Regional Office 8 has recently launched the “e-Blotter” or the electronic blotter system in Leyte Police Provincial Office (LPPO), Tacloban City Police Office (TCPO) and Ormoc City Police Office (OCPO). The e-Blotter, also known as Crime Incident Reporting System (CIRS), does not only facilitate crime documentation, but will also present quick and reliable transmission of crime information from the police stations to the regional offices and to the PNP headquarters in Camp Crame. According to PSSupt Elizar Patano Egloso, Chief, Regional Police Community Relations Division that Leyte Police Provincial Office, Tacloban City Police Office (TCPO) and Ormoc City Police Office (OCPO) are the pilot projects of the said program. So they have installed the e-Blotter software from the twenty (20) equipments received from Camp Crame which are needed for the new system. Right now selected police officers from the Regional Investigation and Detective Management Division are conducting hands-on trainings on how to use the new system and later on this will be re-echoed/disseminated to police stations. Moreover he said that this move will provide transparency in the police community since it is one way of enhancing the crime reporting system in the country for effective law enforcement, which requires comprehensive, adequate and timely information on crimes. Before, when citizens want to report a crime or file a complaint, they would usually go to the police station and a police officer will take handwritten notes in a huge logbook called the police blotter. With the new system, however, the reports would still be logged manually but at the same time, they will be encoded in a computer linked to the police's central reporting network called the PNP Crime Incident Reporting System. Such kind of system is very vital in mapping out strategies for quick response and crime prevention,” he added. CAMP RUPERTO KANGLEON, Palo, Leyte – PSSupt Elizar P Egloso, Chief, Regional Police Community Relations Division said that the police will not be deterred in pursuing lawless elements so to maintain peace and order in the region and assuring the public of a safe environment through intensified police visibility. At the same time according violators/criminals due process and of their rights. At about 1:18AM on January 18, 2012, a certain Jeffrey Fallorina Torrefiel, of legal age, Security Guard of Commander Security Agency personally appeared at Ormoc Police Station and reported a shooting incident. Torrefiel related that while he was on his post at Land Bank, Real Street, Ormoc City, he heard a noise at the back of his post which prompted him to check the vacant lot at the back of Serrafica building. He saw three (3) malefactors inside the vacant lot suspiciously dragging a half-naked unconscious male. Upon receipt of the information, REACT Team led by PInsp Arvie A Trazo, Officer of the Day, along with his personnel together with the Police Station 1 operatives responded immediately to the crime scene. They discovered a half naked dead body and were able to identify him as Raymund Guillemer Durano, 19 years old, single, fast food helper and a resident of Barangay Mas in, Ormoc City. Its face clad with blood suspected to be a gunshot wound on the forehead lower part. According to report that while the responding officers were cordoning and securing the place, there were people spotted at the third floor of the building looking out suspiciously from the window and upon verification, the three (3) male suspects went out of the building and voluntarily surrendered. They were identified as: Jimboy Laurea Juevesaño, 19 years old, single; Dante Guillermo Sebosido, 24 years old, both Security Guards of L and G Security Agency detailed at Serrafica Building; and Orlando Guillemer Rubio, 19 years old, single, employee of Gaisano Riverside mall, all residents of Barangay Mas in, Ormoc City. Suspects were immediately apprehended and apprised of their constitutional rights. One of the suspects Jimboy Guillemer Juevesaño admitted to have accidentally shot the victim claiming that the latter allegedly grabbed his caliber .38 revolver service firearm. Initial investigation revealed that the victim was last seen having a drinking spree with the suspects at their post at about 11:45PM on January 17, 2012. Suspects and the recovered firearm were immediately brought to Police Station 1 by the responding officers, while the SOCO Team led by PInsp Infant conducted the crime scene processing. CATBALOGAN CITY, Samar – A mature hawksbill sea turtle was found in the shallow waters of Barangay Maligaya, Jiabong, Samar on Saturday, January 14, 2012 by fisherfolk Ulpiano Labit. Labit then informed his agricultural technician Sidney Uy who alerted some authorities about the find. Fortunately, Labit said that the hawksbill sea turtle was not injured. He suspected it could have just gone astray, he added that he is aware of the law that protects these creatures and approached the AT to know what could be done to the sea turtle. In a text message, the agricultural technician said that the sea turtle weighed 10 kilograms, and measured 25 cm long and 15 cm in width. The same sea turtle was released near Mahaba Island in the municipal waters of Jiabong two days after, just as the experts learned it was well enough to be released on the wild. According to Regional Director John Albaladejo of the Bureau of Fisheries and Aquatic Resources (BFAR), the sea turtle is one of the early maturing marine turtle and also one of the smallest marine turtles. Marine turtles are protected by various international treaties and agreement including Republic Act Number 9147 known as the Wildlife Conservation and Protection Act. Another AT Glicerio Meniano said that the fisherfolks of Jiabong (home to green mussel culture) are aware of the laws that protect endangered species, they too help by informing their neighbors and fellow rural folks about protecting these marine animals. PASAY CITY – Nearly P136 million, or about 68 percent, of Senator Francis “Chiz” Escudero’s P200M Priority Development Assistance Fund (PDAF) for 2011 had been distributed equally to over 200 municipalities across the country for the improvement of their public markets. Escudero said this was the first time he was able to provide funds under PDAF to help various municipalities since the previous administration, and promised to farm out his allocation to other local government units to finance their projects this year. “Under the administration of former President Arroyo, I was an opposition and the PDAF allotted to me was never released. So as a senator, I cannot give anything to any of the towns, provinces or districts then. Now that my budget has been released, what I do is I give funds to every municipality for the improvement of their public markets,” Escudero said. 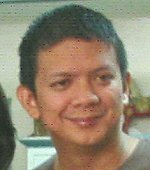 In the spirit of transparency, Escudero also detailed the allocation of his PDAF, which was distributed to several regions to finance construction and repair of school buildings, improvement and rehabilitation of state universities, concreting and road repair, completion of a multi-purpose center and rehabilitation of a municipal hall, improvement of peripheral canals, and construction of river control projects, among others. According to Escudero, each municipality of Region 3 (Central Luzon), Region 4 (Mimaropa), Region 11 (Davao Region) and Region 9 (Zamboanga Peninsula) received P500,000 to improve their public markets. Central Luzon was granted the biggest release of funds among the regions, receiving a total of P43.5 million for various projects in 87 municipalities of the provinces of Bataan, Nueva Ecija and Tarlac. Escudero also gave Region 4B some P35.5 million for the benefit of all 71 municipalities of the provinces of Marinduque, Occidental Mindoro, Oriental Mindoro, Palawan and Romblon. In Region 11, all 42 municipalities of the provinces of Compostela Valley, Davao del Norte, Davao del Sur and Davao Oriental equally shared P21 million in PDAF. About P13.5 million was given to 80 barangays in Cebu City for the purchase of eight-seater passenger-type Isuzu multi-cabs, a project which will be implemented by the Department of the Interior and Local Government in its Region 7 office. At the same time, Escudero provided P1 million in financial assistance to the Cebu City Task Force on Street Children. Educational institutions likewise received P19.5 million, among them the Polytechnic University of the Philippines, P5 million for the construction, repair, rehabilitation and improvement of its various buildings; the University of Southeastern Philippines in Davao City, P5 million for the completion of a sports and cultural multi-purpose building; and Tacurong City Pilot Elementary School in Sultan Kudarat, P5 million for the construction of a cultural and sports center. He gave P2 million for the construction of a school building of the Southern Luzon State University in Catanauan, Quezon; P2 million for the construction of a school building of the Kolehiyo ng Pantukan in Pantukan, Compostela Valley; and P500,000 for the improvement of classrooms of the Philippine National Police Academy in Silang, Cavite. Other projects that received a P5-million allotment each were for the construction of Cabanatuan City-Gen. M. Natividad Road in Nueva Ecija and the construction of the dairy multi-purpose building in Laoac, Pangasinan. For the improvement of roads and canals, Escudero gave P4 million for the construction of the Laoag-Vintar Road in Ilocos Norte, and P3 million each for the construction of farm-to-market roads in Barangays San Antonio, San Jose and San Antonio in Sto. Tomas, Pangasinan; improvement of peripheral canals in Dagat-dagatan Area in Caloocan City; and the construction of River Control Project in Barangay Burabud II, Gandara, Samar. To complete the Muslim Youth Multi-Purpose Center in Marawi City, the senator provided P2.5 million, and P2 million each for the construction, repair and rehabilitation of the Municipal Hall of Barotac Nuevo, Iloilo and the concreting of the main road with canal in Barangay Irisan, Baguio City. Another P1 million was allocated for the construction of the Pampano farm-to-market road in Mangatarem, Pangsinan, completing the P200 million maximum PDAF earmarked for the senator. “My PDAF is transparent, equally distributed and downloaded to local government units. We are trying to avoid issues of favoring the region or province where I belong or allegations of pocketing funds that are supposed to be for the people,” Escudero said. CAMP RUPERTO KANGLEON, Palo, Leyte – PSSupt Elizar Patano Egloso, Chief, RPCRD states that, anybody found to have violated the “Anti-cattle Rustling” law will be punished in accordance with Presidential Decree 533. It adversely affects food production for self-sufficiency in rice, corn and other staple crops, as well as in fresh meat and prejudicing the livelihood of our agricultural workers. PNP PRO8, in its effort to decrease, if not to eliminate theft of livestock has strengthened police operations on cattle rustling. At about 10:00 AM on January 13, 2012, at Borongan Public Market, elements of Borongan Police received information from a concerned citizen that a suspiciously stolen Carabao was being sold by a certain malefactor. Upon receipt of the information, investigation was immediately conducted led by PSupt Mario Cristino Alpez Lucero, chief of police, and was able to arrest the suspect identified as Jojo Año Badiola, 29 years old, married and a resident of Barangay San Jose, Borongan, Eastern Samar who was still at the vicinity. Initial investigation disclosed that, said Carabao is actually owned by Mariles Dilao, of legal age, single, and resides at Barangay Songco, Borongan but it is under the custody of Silvestre Costuna of Barangay San Jose. Subject person was brought to Borongan Police Station for documentation and proper disposition while the cattle was turned-over to the owner after proper authentication. Appropriate charges have been filed against the suspect. Egloso reiterated that there is an urgent need to protect cattle owners/raisers from the nefarious activities of lawless elements in order to encourage increased source of meat and dairy products as well as in agricultural production. BORONGAN CITY, Eastern Samar – The Sangguniang Panlunsod (SP) of the newly converted city of Borongan has recently approved its 2012 budget of P412.7M. Report revealed that of this, P27.7M goes to the Office of City Mayor Ma. Fe Abunda for her Barangay Development Programs. Earlier, the city mayor mentioned, among others, that she will give focus to the construction and rehabilitation of flood control projects in some barangays even those in the poblacion. This is so because she noticed that in the recent heavy rainfalls, several poblacion barangays were flooded due to clogged drainages and damaged flood control fixtures. “Thanks to our new Internal Revenue Allotment (IRA), this time, I can implement more improvement projects for the place,” the lady mayor, who had been noted to be a focused-hardworking chief executive said. The new IRA will also facilitate the appointment of the newly created chiefs of offices for: City Environment and Natural Resources Office, Information Office, General Services Office, Office of the Veterinarian, Cooperative and Development Officer, Population Officer etc. Some of the items follow: Road widening - P5M; Improvement of Public Market - P4M; Improvement of Hamorawon Park - P5M; Purchase of new vehicle - P2.5M; construction of covered court - P2M; Health Centers - P1M; Drainages - P15M and Day Care Centers - P2M. CAMP RUPERTO KANGLEON, Palo, Leyte – PNP Chief, Director General Nicanor A Bartolome said that the one-strike policy stays against police chiefs who would fail to act against illegal gambling in their areas of responsibilities. Just recently, separate raids have been conducted throughout the region as the PNP PRO8 intensifies its battle against illegal gambling especially the so-called “swertres”. At about 6:20PM of January 13, 2012, elements of Tabon-tabon Police Station led by PSInsp Joselito M Villas, chief of police, with four of his personnel were able to arrest Alvin Mondragon Ferreras, of legal age, married, swertres collector of Barangay Jabong, Tabontabon, Leyte. He was caught on the act of collecting tally sheets and bet money. Confiscated from his possession were 4 tally sheets with different number combinations, ball pen, calculator, and bet money amounting to P150 pesos. On same date at Barangay Basud, San Isidro, Leyte, its MPS led by PO2 Roy Atchuela and PO1 Isidro Lapuz apprehended Pedro Moyakes, 38 years old, married, and a resident of Barangay Hinabuyan, Villaba, Leyte while in actual possession and control three tally sheets with bet money amounting to P225 pesos. On January 15, 2012, Hinunangan Police led by PSI Castor L Cabilogan, chief of police, together with The Southern Leyte CIDT led by PInsp Ferdinand M Mendoza, Provincial Officer, and three PNCOs has also conducted operations against “swertres” which resulted to the arrest of Wilfredo Limpot Dector, 39 years old, married, and a resident of Barangay Matin-ao, Southern Leyte. Suspect was caught on the act of collecting illegal gambling paraphernalia. Arrested person together with the illegal gambling paraphernalia was brought to Hinunangan Police Station for proper disposition and for the filing of appropriate charges against them in court. According to PSSupt Elizar Patano Egloso, Chief, RPCRD, though economic crisis forces ordinary folks to take their chance by betting heavily on illegal numbers game like swertres, last two and last three, but it is still illegal gambling and the Police is duty bound to curb any illegal activity in the community.